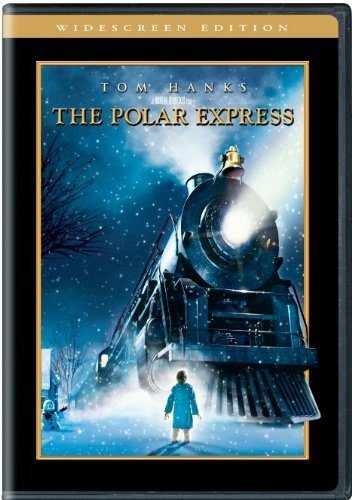 The Polar Express DVD Just $7.99 + FREE Shipping with Prime! You are here: Home / Great Deals / Amazon Deals / The Polar Express DVD Just $7.99 + FREE Shipping with Prime! Head over to Amazon and get The Polar Express DVD (Widescreen Edition) for just $7.99. Shipping will be FREE with Amazon Prime or an order of $35 or more. Based on a storybook written by Chris Van Allsburg, the Christmas story tells of a boy who has reached an age when he begins to have doubts believing in Santa. Late one Christmas Eve, the young boy is lying awake waiting for the sound of sleigh bells ringing from Santa’s sleigh. Five minutes to midnight his room begins to shake, and he hears a thunderous sound outside his window. The boy jumps from his bed and sees a train in the middle of his street. The boy grabs his robe and rushes out the front door to look at the train. The train’s conductor asks the boy if he is getting aboard. The boy asks, “Where are you going?’ ‘To the North Pole, of course, this is the Polar Express!’ At the last minute, the boy jumps on the train and finds other young boys and girls going to the North Pole. Their adventure begins.